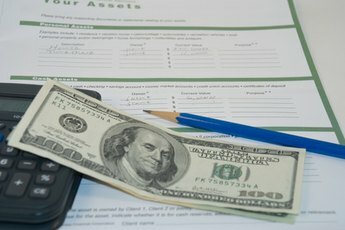 Can You Still Contribute to an IRA When Collecting From an IRA? 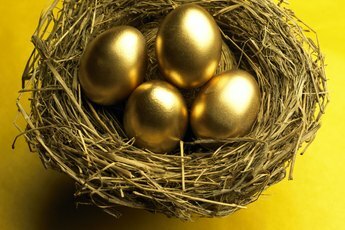 The IRS limits contributions to traditional and Roth IRAs in different ways. An Individual Retirement Arrangement is a retirement account that you set up under certain tax rules enforced by the Internal Revenue Service. Although the account must be placed with a manager, you make the important decisions on when, and how much, you will contribute to the IRA each year. 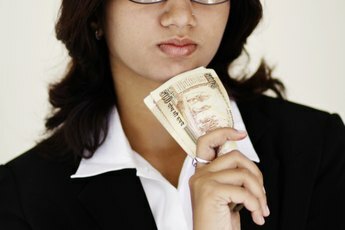 When you reach the minimum age for withdrawals, you also must decide how much you want to withdraw, and whether or not you wish to continue the contributions. There are two basic types of IRA: traditional and Roth. For a traditional IRA, you can contribute up to $5,000 a year, with most taxpayers able to deduct up to $3,500 of the contribution from their taxable income. When you withdraw the money, the account income is subject to income tax. 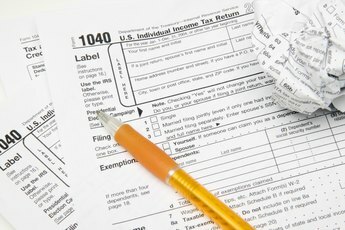 In a Roth, the contributions are not deductible, but the income is tax-free when you withdraw it. The IRS levies a 10 percent penalty if you make any withdrawals before you reach the age of 59-1/2. It requires minimum withdrawals from traditional IRAs when you reach the age of 70-1/2. You may only make contributions to the IRA in years in which you receive employment compensation. The IRS makes exceptions if you don’t receive compensation but do receive alimony or certain types of military pay, or if you file a joint return with someone who does receive compensation during the year. If you cannot make a contribution, the IRA remains open and its investments may continue to earn income (dividends or interest) and capital gains. The IRS imposes income limits for people making contributions to a Roth IRA; for single tax filers, for example, a full contribution could be made for 2012 only by those with adjusted gross income of $110,000 or less. There is no income limit for people contributing to traditional IRAs. Even if you begin making withdrawals at the age of 59-1/2 or later, you may continue to make contributions, up to the annual limit. The withdrawals have no effect on the amount you can contribute, or vice versa. You can make contributions up to and including the due date for your tax return of that year. For example, for the tax year 2011 you can contribute to your IRA up to April 17, 2012, the filing deadline for federal 2011 taxes. IRS rules bar you from making any further contributions to a traditional IRA beginning in the year in which you reach the age of 70-1/2. At this age, you must begin to make minimum withdrawals, which you calculate according to life-expectancy tables set up by the IRS. The idea behind these rules is that IRA funds should benefit only the account holder, and not bequeathed to your heirs, although any IRA funds that survive you will legally belong to your estate. For Roth IRAs, you are free to make contributions after 70-1/2 and no matter how old you are; the income limits still apply. Distributions from the Roth IRA have no effect on the amount you can contribute. The IRS does not require minimum withdrawals from a Roth at age 70-1/2, and you are free to maintain and control the account as long as you wish. 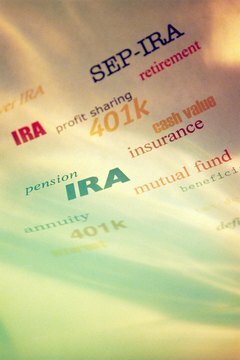 "Similarities & Differences Between Traditional IRA, Roth IRA, & 401(k) Plans"
How Long Do You Have to Hold a Roth IRA? What Is a Contributory IRA?